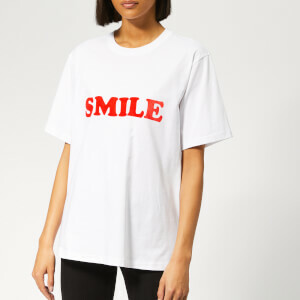 The Ganni 'Davies' T-shirt takes inspiration from Ditte Reffstrup's (the brand's creative director) childhood memories of summers spent camping outdoors. Made from super-soft, lightweight cotton, the oversized T-shirt features a pastel floral print graphic to the front with bold branding. Finished with rounded neckline, short sleeves and straight hem.